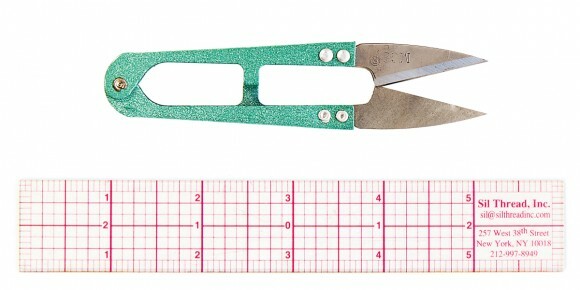 Here is a question for you: What sewing tools do you use the most? I don’t know about you, but I don’t like to do any extra work. 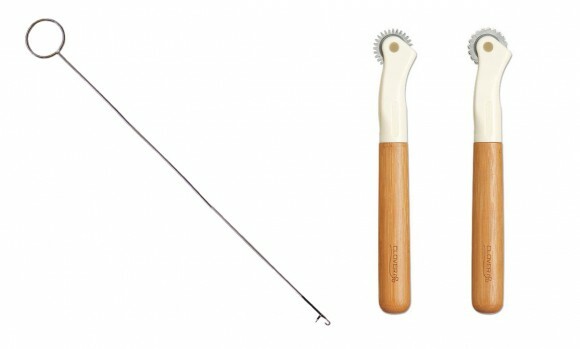 It’s a fact that sewing tools and gadgets make sewing easier, more enjoyable, and they help give a professional result. 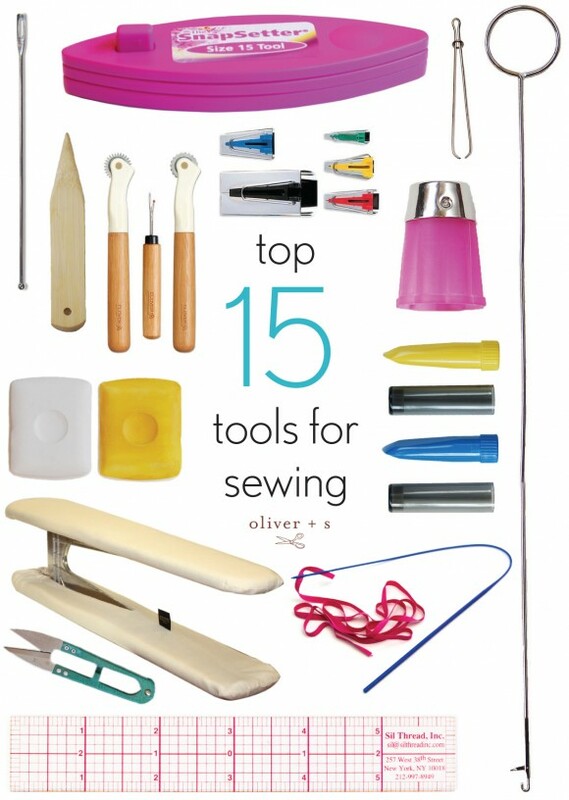 While a sewing machine is essential, here is a list of fifteen helpful tools. These are sewing tools that have already been highlighted on the blog. Some of the links bring you to a blog post that offer more tips and or show you how to use the tool. 1) A seam ripper is a necessity! For when you make a mistake, use this tool to rip it out and start over. Although the purpose of a seam ripper is to cut seams, some people use it to open buttonholes, too. 2) A bias tape maker is a little tool that speeds up the process of making bias tape and it creates nice sharp even folds and lines. 3) Keep a pair of thread snips by your sewing machine so you can clip the threads at the end of a seam while you’re sewing. 4) A clear plastic graph ruler allows you to see through the ruler so it’s easy to add a stitching line or a seam allowance. 5) A sleeve board is a mini ironing board, made for pressing sleeves. A bonus is that it is just the right size for pressing a seam. 6) Keep a bamboo point turner and presser by your iron, it will help you get a nice sharp point on your next pointed collar. 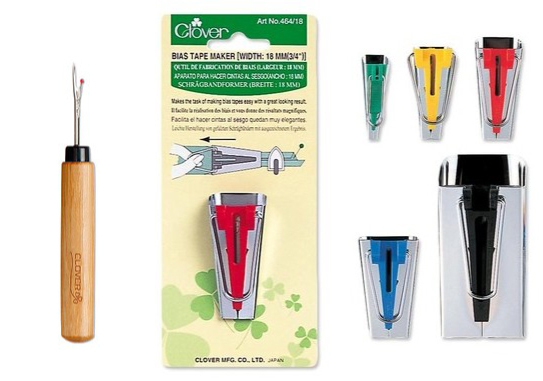 7) Tailor’s chalk is a fabric marking tool that creates a nice sharp line. 8) A chaco liner lays a fine, crisp line of chalk dust onto your fabric. 9) A loop turner is for turning narrow tubes, like belt loops and button loops. 10) Tracing wheels are used with carbon transfer paper and are great for transferring markings onto fabric. 11) A protect and grip thimble makes hand stitching more comfortable. It prevents your finger from getting sore and it makes it easier to grip the needle. 12) When a pattern calls for snaps like the Lullaby Layette or Have it All Wallet, install them using a SnapSetter tool and follow the tutorial. 13-15) The Ezy-Pull and Ball Point Bodkins and Drawstring Threader are three different tools that are helpful for inserting drawstrings and or elastic. 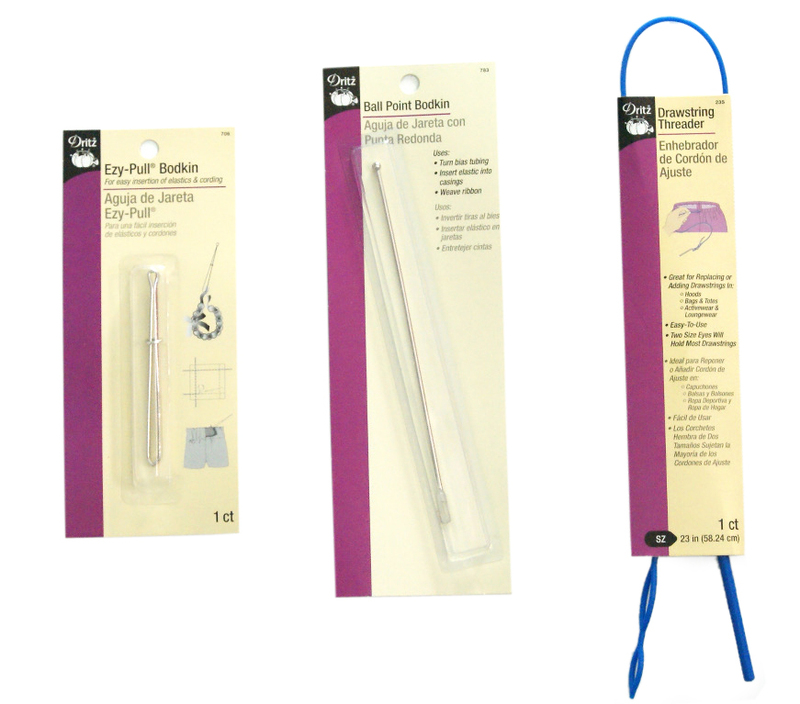 Consider adding some of these supplies to your shopping list so you can add them to your sewing tool collection. 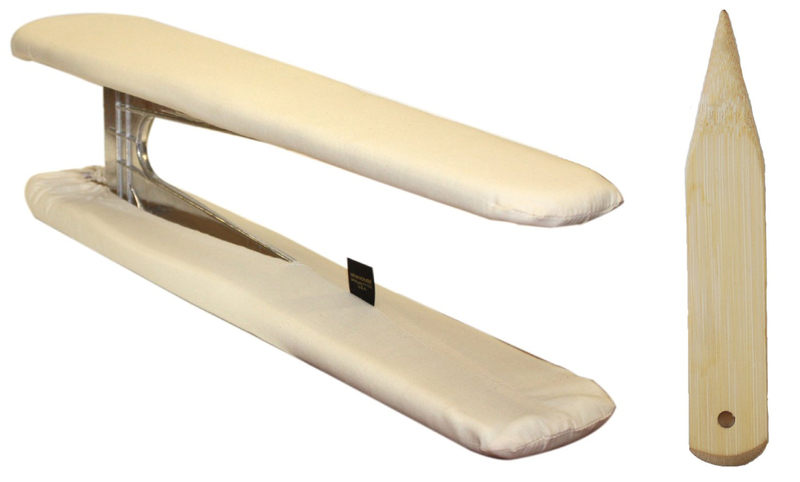 We have many of them available in small quantities in the shop section of the site. Seam ripper, tailors chalk, point turner, tape measure (I don’t believe this was mentioned) the little ruler thingy you showed above (mine is similar) I love my sleeve board! And sewing needles because I sew my buttons on by hand! I do have a loop turner somewhere…. And I use my embroidery scissors as thread snips. A seam ripper is definitely number 1. I thought when I was learning to sew I would get good enough to not need it but I always pull it out. I also really like a magnetic pin cushion. I get a ton of use out of my hem gauge, I have two of them since I leave them all over my sewing space. Also a disappearing-ink pen is handy. My bodkin always drops the elastic, too. I had a drawstring stringer for awhile, it worked great until it broke. I’ve gone back to using a safety pin clipped onto each end! I’m totally onboard with your list–but for me, the notable omission is the Golden Hands tailoring board. Couldn’t get to Step 1 without it. I got mine at Manhattan Wardrobe Supply, but it doesn’t seem to be on their site anymore. http://shop.quiltropolis.net/stores_app/images/images_198/0856%20lg.jpg A must-have! “Jane”: I call that tool a point presser and clapper. And I agree, it’s indispensable. And difficult to find, unfortunately.